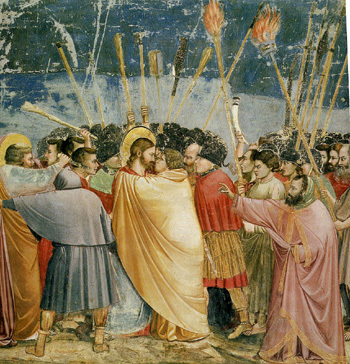 One of the most beautiful aspects of the Passion of Our Lord is the confrontation between the logic, strength and elevation of His attitude and the incongruity, cowardice and infamy of the attitude of His adversaries. Step by step in the Passion this can be noticed. In the episodes that came before the Passion – in that storm of hatred previous to His Passion that caused His death – this contrast can already be noticed. During Our Lord’s public life, on the one hand, we have His attitude, increasingly clear, dignified, and coherent, based upon the most extraordinary miracles that confirmed the sanctity of His doctrine, accessible to all. On the other hand, we see the hatred that was mounting against Him. It was a hatred without reason, or at least without any confessed reason. Since His enemies did not dare acknowledge its real reason even to themselves, they tried to find pretexts or they remained silent. Unable to provide arguments, they planned to take His life. On one side, Heaven, on the other, Hell. Fillion, the famous commentator of the life of Our Lord, divides it into three periods. If my memory serves me well, they are these: In the first year, He chose His disciples and formed them; in the second, He confirmed them in their vocation, extended His action and was glorified; in the third year, He tested their fidelity and was put to death. During these periods, the impious ones were paying attention to His action. They gradually came to see that His words were not only true, but that He was the Truth. They increasingly realized that His actions were not only virtuous, but He was Sanctity itself. Finally, when they comprehended that He was the Son of God, they could not support it and killed Him. During his public life, the enthusiasm of the people toward Him was mounting. His enemies hated that and, to prevent it, spread calumnies against Him. 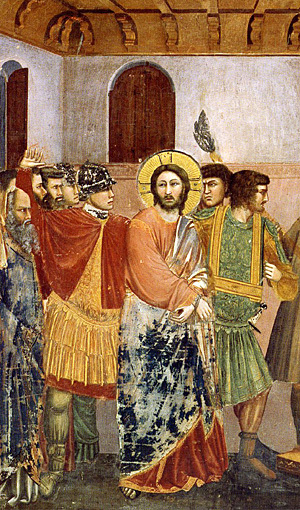 Many times, as the Gospel reports, the Scribes and Pharisees came to challenge Him with arguments. But all those sophisms were destroyed by His triumphant rebuttals. Instead of being convinced, they hated Him more. They were not seeking truth in those arguments, but trying to catch Him in a contradiction so that they would have ammunition to slander Him. This reveals their bad faith, evil, and iniquity. It is hatred against good in its more acute and repellent aspect. They saw that He was the Way, the Truth and the Life – as He defined Himself, but they rejected Him. Theirs was a fundamentally contradictory position. Our Lord Jesus Christ suffered enormously because of those contradictions. Because He is the Truth itself, all those sophisms hurt Him deeply. Because He is the Way, He could not but suffer to see the supreme infidelity of the elected people, going astray from their vocation and killing the One whom they were supposedly awaiting. Because He is the Life, He grieved to see those souls rejecting salvation and choosing perdition. Further, they were plotting His death. A deficient way to consider the sorrow of Our Lord in His Passion would be to imagine Him saying: “They are wounding me cruelly, causing me great pain. These wounds also hurt my spirit since I do not deserve them. Hence, my bitter tears.” No doubt, this is true, and reason enough to produce tears in any person. But with Our Lord, there is more. He was God, and therefore, He loved Himself with a perfect love. As a consequence of this perfect love, the main sorrow of his Passion was caused by the negation of the truth and the violation of the moral principles committed by those who caused His death. For Him this was a more acute cause of sorrow than the sensible pain. His was a divine and human sorrow, caused by an error verified by the intelligence and an evil abhorred by the will. Above all else, this was the sorrow of Our Lord. After that came the physical suffering, which is holy, but the main aspect, which is the moral suffering, should not be forgotten. As if I were a thief, you come to imprison me with swords and staffs. I was teaching every day in the Temple, and you did not raise your hands to stop me. And now, you lead me, scourged, to be crucified. This can be translated: When I was teaching in the Temple, the people were with Me. They could testify to the truth I was preaching. During that time I answered your objections, and you remained silent. You did not attack Me because you did not have courage to face my supporters; you knew the people would defend Me. But now, thanks to the betrayal of this cursed disciple, you caught Me alone. At this moment, cowards that you are, you appear before Me with swords and staffs as if I were a thief. You know that I am not and that I do not deserve this treatment. This is the contradiction in the scene that Our Lord pointed out. It was a manly reproach and a rebuke. But at the same time, a most tender appeal to convert them, because He voluntarily chose not to escape and to give His life for all of us, including the very ones who were taking Him prisoner. Today, those Catholics who defend the perennial principles of the Catholic Church and her traditions often pass through situations similar to what Our Lord experienced at that moment. These counter-revolutionaries fight against the enemies of the Church, either progressivists or communists, and the enemies end by having no argument with which to respond. They remain silent, but spread rumors and calumnies just as the Pharisees did with Our Lord. Such enemies also persecute the faithful Catholics and try as much as possible to remove them from the scene – a kind of psychological murder – to avoid facing the principles and lifestyle they represent. If we can be counted as one of those counter-revolutionaries, we can be proud, because we are receiving the portion that Our Lord received. It is an honor to receive the same treatment He was given. It is a blessing, a precious pearl added to our crown in Heaven.